Snowbee Wet Sack, solves the problem of what to do with the catch, when you return to the car, with a Bass Bag full of slimy, dripping fish! We have all been there and usually end up with a Black bin-bag! 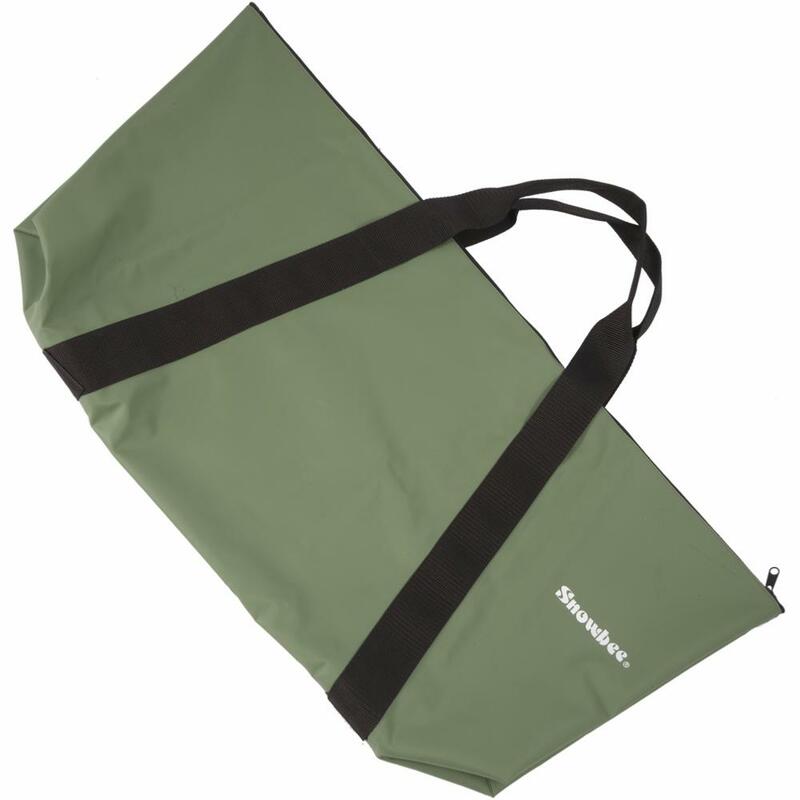 The new Snowbee Wet Sacks, are made from Snowbee's tough PVC/NYLON/PVC material, that has been used on Snowbee waders for years. The welded seams make them 100% waterproof, so your bag of fish can be dropped in and zipped up, to keep the car boot clean and fresh. Salmon Wet Sack. 32" x 16"
Very good quality materials and great design.